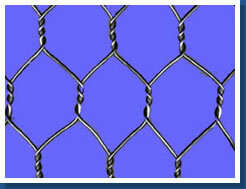 Features:Firm structure, corrosion-resisting and oxidation-resisting. Usage:For feeding chicken, ducks, gooses, rabbits and the fence of zoo; machinery protection, speedway fencing, fencing mesh on the road. Can be made into container boxes for protecting of banks, for flood control and fighting a flood.